Porcelain Doll. Her name is Jennifer. Stands 19" tall. Cute little pigtails. Expression on face looks as if she is concerned about something. Mint condition. Was purchased at an estate sale. 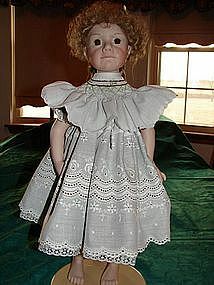 Cute porcelain doll. 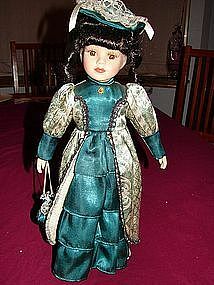 16" tall with satin dress and hat. 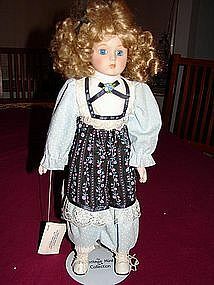 Don't know where or who it was made by, but for a collector, nice doll.